AZ Findings carries a large selection of jewelry making footage chains and finished chains in different materials. Our selection includes sterling silver chains, gold over silver chains, rhodium plated sterling silver chains and oxidized sterling silver chains. You can choose either bulk by the foot chains or finished ready to wear necklace chains for most of the available styles. 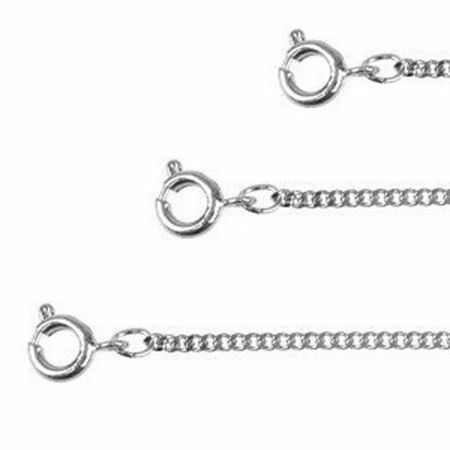 AZ Findings carries most popular jewelry chain styles, including rolo or rollo chain, cable chain, diamond cut chain, Figaro chain, ball or bead chain. All chains are designed and manufactured in Italy. Wholesale bulk jewelry making chains and finished necklace chains.